There’s no truer testament of a game’s authenticity than when real life begins to imitate it. 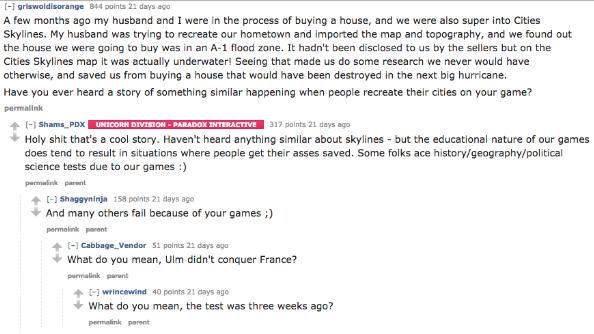 Cities: Skylines achieved such validation via a recent Reddit AMA with publisher Paradox Interactive, in which it transpired that the game had forewarned a couple that the house they were about to buy IRL was located in an A-1 flood zone. The couple then pulled out of the purchase, and avoided seeing their new residence wash away in the next storm. Getting bored with vanilla urbanisation? 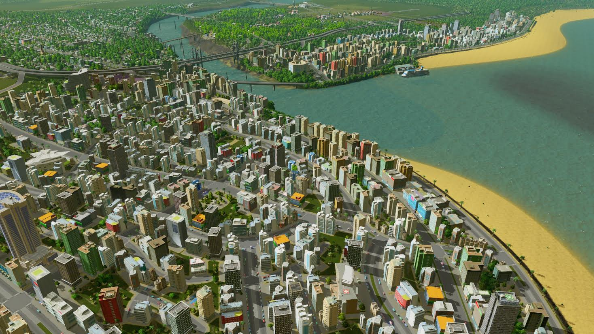 Head over to our best Cities: Skylines mods. By importing the topography of their potential new neighbourhood into the game, redditor griswoldisorange and her husband found their new residence was literally underwater. As indicators that your new home may not be a rock-solid purchase go, that’s right up there. Sadly my own personal gaming experiences don’t offer up such satisfying art-imitating-life moments. There was that one game of Championship Manager when I ‘discovered’ Carlos Tevez I suppose, but I’m guessing that’s not a particularly unique experience. Have you changed your area code based on a videogame’s advice? Perhaps Civ 5 showed you that your settlement would be overrun by barbarians within the next 250 years? Let us know below.